Waiting for Treatment to begin?.. After weeks of uncertainty and possibly still reeling from the initial shock of a breast cancer diagnosis, you now find yourself in a strange surreal limbo. Here are a few tips that may help you regain control while waiting for treatment to begin. 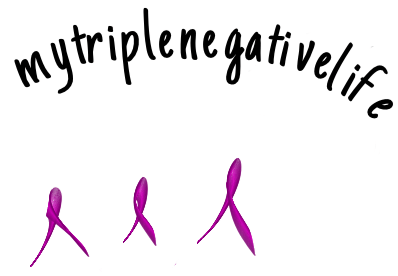 Equip yourself with as much knowledge as you can about triple negative breast cancer. The old adage that knowledge is power is so true especially when you have a serious illness. Do not let the articles with inflammatory words put you off. What I did was skip the first couple of paragraphs and skim the rest of the article until I spotted some information that may be useful to me. Otherwise just disregard it and move on. Check out the forums on breast cancer. I found these very useful as I could read about people with similar issues. The support from these websites cannot be overlooked. Even if you don’t post on them, they are an addition to the support you receive from your breast cancer team. Social media has fast become another way of communicating and keeping in touch. It is a resource that wasn’t available when I was first diagnosed and even though I am only posting on social media for the past few months I have found this virtual support group helpful. There are many women and men championing and advocating for all patients with cancer. Learn to trust your Oncology team. They are highly experienced and will have your best interests at heart. I know my Oncologist for years and I am literally trusting him with my life. He has kept me alive all these years which I am so grateful for. From my experience when a treatment regime is suggested, it is carefully considered by a multidisciplinary team. There was some debate about whether I should have chemotherapy the second time around but on balance it was felt that as I didn’t have what is now standard treatment before that it I would benefit from it. Obviously my consent to the treatment was also a factor. Not that I wanted chemo, mind you, but I felt it offered me the best chance to keep the cancer at bay for as long as possible. Bearing all that in mind, you can now understand how it is necessary to have a positive relationship with your team. In order to fully understand all this new information you will need to ask many questions. Keep asking until you get the answers that you want. I had a notebook and wrote all my questions at home before my appointments. Bring someone close to you who will be your advocate, either a spouse, sibling or friend. Sometimes it can be a bit overwhelming and it is useful to have someone to champion you. Utilise this time productively. If this is your first time facing treatment, this period may be the only time you feel relatively well for a long time until you have recovered from treatment. Use it wisely. Organise your household, cook and freeze food for the days when you have no energy. Accept graciously any offers of help over the next few months, lifts to the hospital, childminding and even housework. If people want to give you presents, tactfully suggest practical items that you may need later like pyjamas, lotions etc. I received many bouquets of beautiful flowers but they all wilted a week or two later. The financial impact of cancer is not considered in the early days but is a very real problem for most people. I plan to cover this aspect in another blog as it deserves a separate post. Look after your body. If you are not fit, start walking. It is recommended to exercise for at least thirty minutes a day for five days a week. Don’t overreach yourself. Just go at your own pace. Continue this and after a period of time you will notice you are walking faster. In addition,the outdoors and exercise has an added benefit to your mental health. There is a debate on whether there is enough evidence to suggest that multivitamins are necessary if you are eating a healthy well balanced diet. I personally found them to be useful especially when I was recovering from surgery and waiting for chemotherapy to begin. Obviously do not take multivitamins, medicines or herbal products without first consulting with your team. If you do decide to take something after discussing with your team, choose a good quality brand. I have written a post on What diet after tnbc diagnosis? I hope it gives you sound advice on what diet and nutrition you should consider. I have found time and time again that people when newly diagnosed embark on diets not grounded with sound scientific evidence but are popular at the time. I have to admit that I fell prey to faddy diets supposedly aimed towards healing from cancer but the reality is that it is now that good nutrition is essential as your body is facing possible surgery, radiotherapy and/or chemotherapy. As I’ve stated on the post on what diet to consider, if you are struggling to maintain your weight or concerned about your diet, ask for a referral to a dietician, preferably with oncology experience. This tip is a difficult one. This is my experience. If people who are not medical practitioners are claiming to cure your cancer, please do not believe them… Please!.. Again I succumbed to the temptation of having my cancer cured and tried all sorts of lotions and potions for awhile. We are so vulnerable when first diagnosed and therefore cling onto whoever or whatever gives us hope. Telling friends can be difficult. I told some of my close friends and relied on them to let everyone else know. What I found over the years is that when telling people that I was seriously ill, it reinforced the reality of the situation, making an already fraught time more difficult. Organise your work. Decide what is best for you. You may need to work during treatment or delegate some of your workload to a colleague. Some companies have good sick leave benefits so you may be able to take time off. Finally pamper yourself! You deserve it!. Meet up with friends and family for coffee or a nice meal. Just double check with your nurse if you are considering a massage as it may not be recommended until after treatment. If anyone has anymore suggestions about their experiences of the first few weeks post diagnosis I would love to hear from you!. I know it is hard to believe but it DOES get easier as you learn to adjust to this crazy messed up life! Take care..